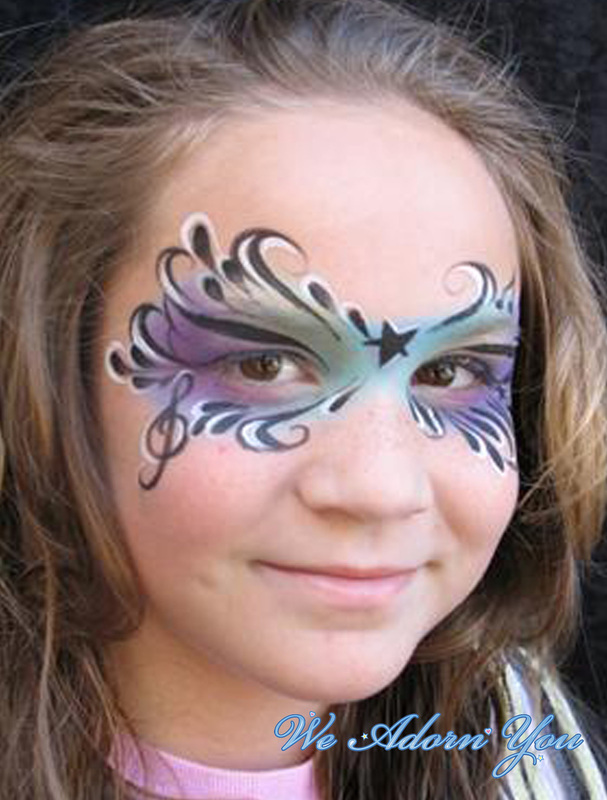 Face painting is a great way to make your New York City party fun and exciting. 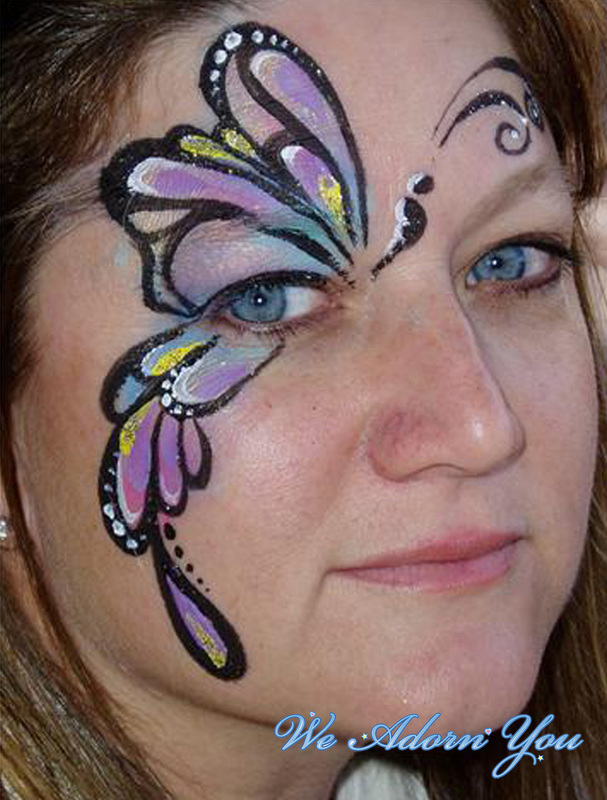 At We Adorn You, our team takes the artistry and magic of face painting to a whole new level. Book us for your next birthday party, community gathering, or kid's event to add a colorful experience. The bigger your imagination, the better! We have highly skilled, top notch party face painters available for any of your events. Our makeup is hypoallergenic, water based, and dries to a powder in less than 5 minutes. This makes it perfect for kids face painting or anyone else who wants to go from done to fun. Our team of artists loves to be challenged with creative and imaginative designs. We know our talent and artistry can bring delight to every guest, whether they are young, or merely young-at-heart. Event face painting is an almost expected activity at certain gatherings. It’s no coincidence that face painting in Los Angeles is one of the longest lines and most sought-after activities at community festivals. We have tips to keep lines small and moving, but the anticipation will still be there as each guest ponders what design they will ask for. There is something magical about seeing your guests transform with faces painted as tigers, dragons, and flowers. Imagine the smiles and giggles, not to mention the memories made at a kid's face painting party. These are also perfect fundraising events. Everyone wins when you hire a New York City party face painter from We Adorn You. In the hands of our professionals, face paint parties can be a great way to support or celebrate any occasion. We pride ourselves on the talent and expertise of all of our face painters. 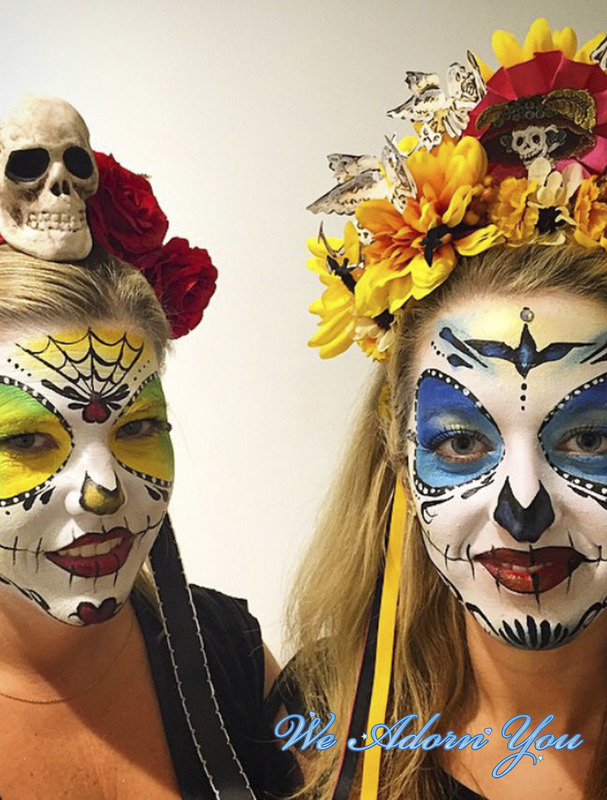 We want you and your guests to be delighted with every face paint design. We use hypoallergenic makeup that is water-based and dries to a powder finish quickly. We also offer waterproof makeup for events taking place in or near water, or where guests will get very sweaty. We have a plan for every party need. ADD COLOR TO YOUR PARTY. HIRE A FACE PAINTER. 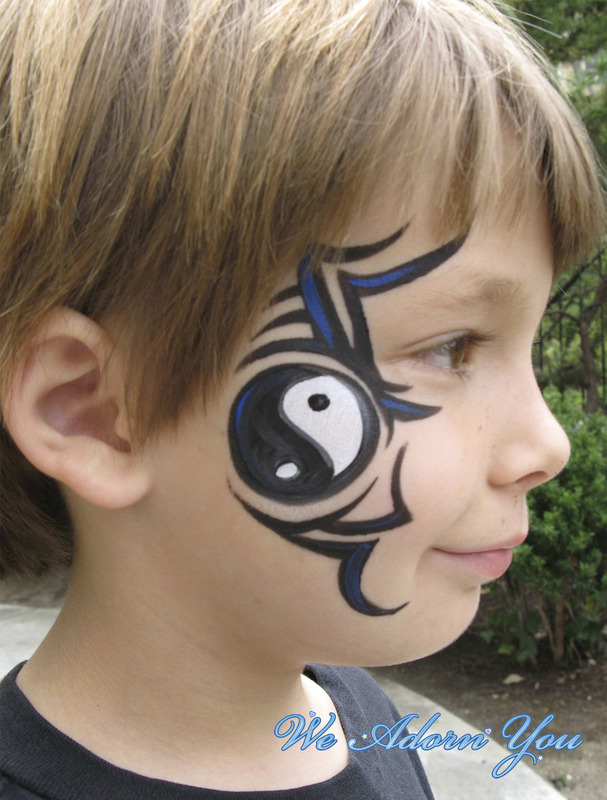 Add some fun to your next party or event with face painting by We Adorn You in Los Angeles. Choosing us will be one of the best decisions you can make for your event. 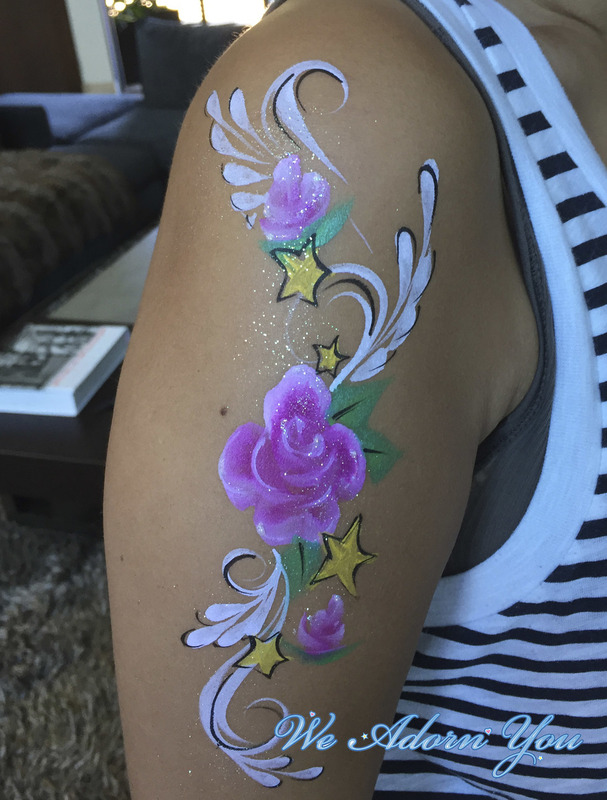 We will keep your guests moving quickly and offer them a unique face painting look they will love. 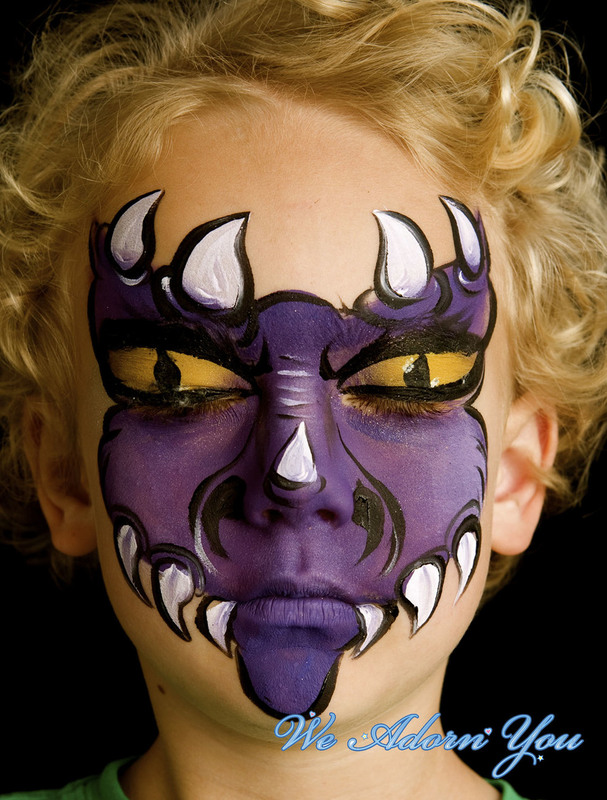 Our face painters paint an average of 10-15 faces per hour depending upon the complexity of the designs chosen. For large parties or corporate events, we are happy to discuss smaller design choices to accommodate more people within your time frame. If you are planning an event around or in water, ask us about our waterproof makeup.